National Escargot Day, Gabriel Daniel Fahrenheit's Birthday, First Telegraph Message Transmitted, Mary Had a Little Lamb Published, International Tiara Day, Brother's Day, Morse Code Day. -- Though people have surely commented on hot and cold weather for thousands of years, our most commonly used temperature scales both date from the eighteenth century. 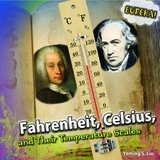 Daniel Gabriel Fahrenheit, who also played a key role in the development of the modern thermometer, invented the Fahrenheit scale. 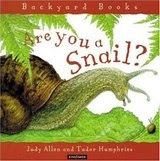 -- A young snail faces many challenges as it tries to grow safely into an adult. All the facts a young child needs to understand the life of this intriguing backyard creature are packed into this engaging narrative. -- Tells the colorful story of the telegraph's creation and remarkable impact, and of the visionaries, oddballs, and eccentrics who pioneered it, from the eighteenth-century French scientist Jean-Antoine Nollet to Samuel F. B. Morse and Thomas Edison. The electric telegraph nullified distance and shrank the world quicker and further than ever before or since, and its story mirrors and predicts that of the Internet in numerous ways. • Morse Code - Write a message using Morse Code. • Got the Message? Students in grades 3-5 build their own electromagnetic telegraphs and send each other messages. 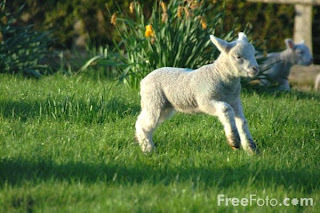 -- Since this nursery rhyme first appeared in 1830, children have loved it. Tomie DePaola uses his signature folk art style and sets the poem in a traditional 19th century New England setting. The result is an endearing interpretation of the little lamb that followed Mary to school and how the teacher handled it.